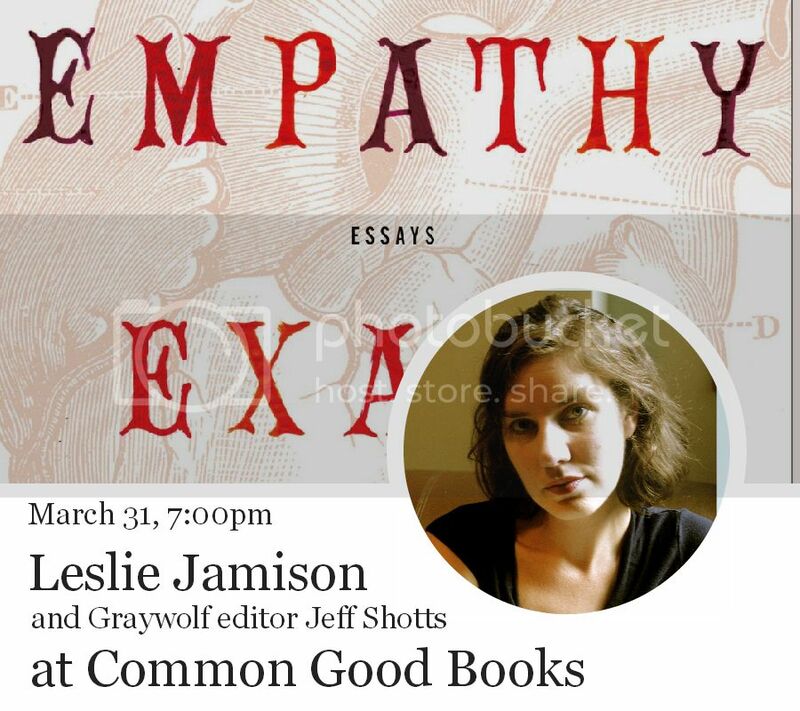 Leslie Jamison discusses her book "The Empathy Exams" with Graywolf editor Jeff Shotts. Leslie Jamison’s curiosity is insatiable. From her days spent as a medical actor, to her fascination with a group of people who suffer from a phantom disease, to her exploration of the plights of the West Memphis Three, Jamison is in possession of an inquisitive and restless mind, one that questions and demands more. At the root of these brilliant new essays is pain: how we react to our own and to that of others, and what we choose to do with that pain. But this is not an academic treatise—at its heart, this is a book of personal reflection, an honest and thoughtful examination of one woman’s experiences in relation to a question as nebulous as it is vital: How should a person be? With the keen eye of a journalist and the heart of a poet, Leslie Jamison has crafted eleven luminous, piercing essays that get at the very core of what it means to be human. Leslie Jamison is the author of a novel, The Gin Closet, which was a finalist for the Los Angeles Times First Fiction Prize. Her work has appeared in The Believer, Harper’s Magazine, Oxford American, A Public Space, and Tin House. She lives in Brooklyn, New York, and is completing a doctorate at Yale University. Find her at www.lesliejamison.com.